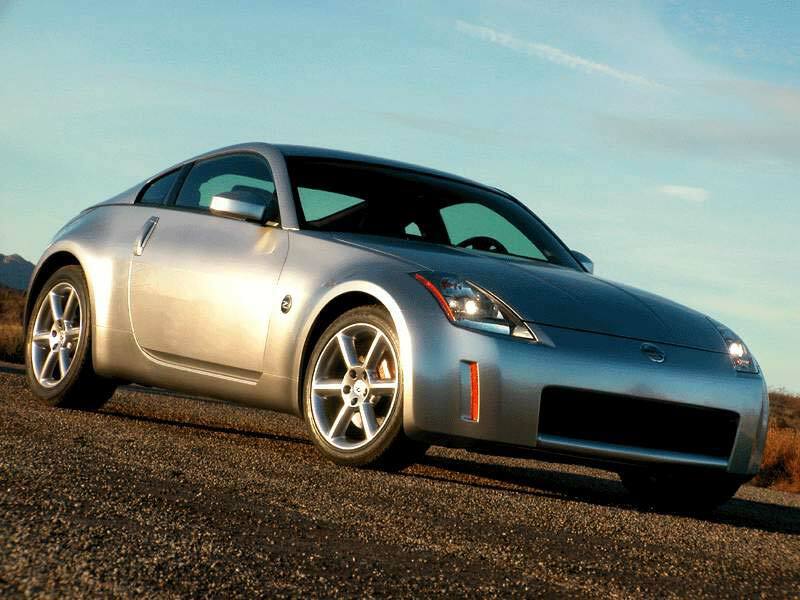 San Francisco: One of this year's happiest automotive stories is the return of the Z. A cherished model that has been reincarnated in the spirit of the original, with exciting looks, potent performance and at a base sticker price below $30,000. It all began in 1970 with the Datsun 240Z. Back then, sports cars tended to be aging European roadsters or lumbering V-8-powered muscle cars like the Ford Mustang or Chevy Camaro. The original 240Z had six cylinders, but its lightweight and fresh styling created a new market segment for reliable Japanese two-door sports machines. The Z prospered and as often befalls successful cars it grew in size. As the Worldwide Nissan nameplate superseded the old Datsun moniker, the 260Z, 280Z, and finally, 300ZX hit the marketplace. Introduced as a 1990 model, the 300ZX was more of a beautiful cruiser, and while still a two-seater, its sticker price climbed to over $40,000 in 1990 dollars. Sales fell off, and the car was finally cancelled in mid decade. Since then, the Nissan faithful have been waiting for the return of their icon. Now, in the midst of a breathtaking renewal of Nissan, they can enjoy their new Z at last. Today's high tech 350 Z wizardry squeezes out 287 horsepower and 274 lb.-ft. of torque from a dual overhead cam, 24-valve 3.5-liter V6. Nissan uses this engine elsewhere, but it is more potent in the Z. The engineers redesigned the intake ports, increased valve lift and reduced exhaust system backpressure for better engine breathing. The engine uses Continuously Variable Valve Timing Control System (CVTCS) technology to stay on the boil, and the engineers cooked up just the right exhaust note as a soundtrack. The car's "drive-by-wire" gas pedal has no mechanical connection. A device converts pressure on the accelerator into voltages that work with the car's engine computer to control the throttle. Drive-by-wire technology improves fuel efficiency and lowers emissions. Posted fuel numbers are 20 city, 26 highway; I averaged 20.7 mpg. Not bad for a sports car with this level of power. The classic front engine, rear drive, two-seat hatchback configuration remains. The tapered roofline, long nose and short deck are familiar. The low angle of the roofline turns an apparently large rear window into a tiny slit from the driver's seat. The 21st century styling pushes the wheels out to the corners for greater stability and a meaner, tougher stance. The car is unmistakable, from its stretched-out triangular taillamps (nothing like the original car), to the blunt nose with flush mounted headlamp clusters and wide mouth grille, to the jewelry style vertical door handles. In the tapered, forward leaning cockpit, shapely bucket seats grip the driver and passenger tightly. As in the original, the dash places a three-gauge cluster behind the steering wheel and adds three auxiliary gauges at the top of the center dash. Items not in the original car include aluminum accents on the dash and a trip computer. This modern day necessity offers a sequential display of digital miles per hour, outside temperature, distance to empty, average speed, average miles per gallon, and even gives tire pressure and provides a stopwatch. Assembly and materials feel excellent throughout, although a pop-out center console door felt a bit flimsy. In fact, it wore a sticker in three languages describing the proper way to open and close it (pull out, THEN down). I wonder how many doors broke off before Nissan issued the warning sticker. This console door needs to be reengineered ASAP as it detracts from an otherwise pleasant interior. The new 350Z is very exciting to drive, and you work for it. The six-speed manual in my car, for example, took some effort to move from gear to gear, and the clutch action at first seemed like an exercise machine at the gym. Steering is power assisted but not one bit more than is necessary. All this makes you feel like you are actually driving the car, not simply riding in it. Road and Track magazine recorded a 0-60 time of 5.8 seconds, with a quarter mile in just 14.4 seconds at 99.7 miles per hour. That is almost exactly the same as a Porsche Boxster S, and faster than all but the most muscular of sports cars. There are five 350Z models available, two of them starting under $30,000. The standard Z is hardly a base car, with numerous power conveniences and a batch of safety equipment, too. The first step up from base is the Enthusiast model, which adds Xenon headlamps, cruise control, traction control, a limited-slip differential, aluminum pedals, and more. The Performance Model adds Vehicle Dynamic Control, tire pressure monitoring, 18-inch wheels and tires, Xenon headlamps, and more. The Touring model, like my Silverstone colored test car, adds a 240-watt Bose audio system with six-disc CD player with seven speakers, leather seats with power adjustment and heating, and more. The top Z is the Track model, which adds front and rear spoilers, unique 18-inch wheels, and special vented Brembo high-performance brakes. It is built for the highest performance, but it could be a bit harsh in daily driving.